Who is that handsome man driving around the Sparkle fairy? 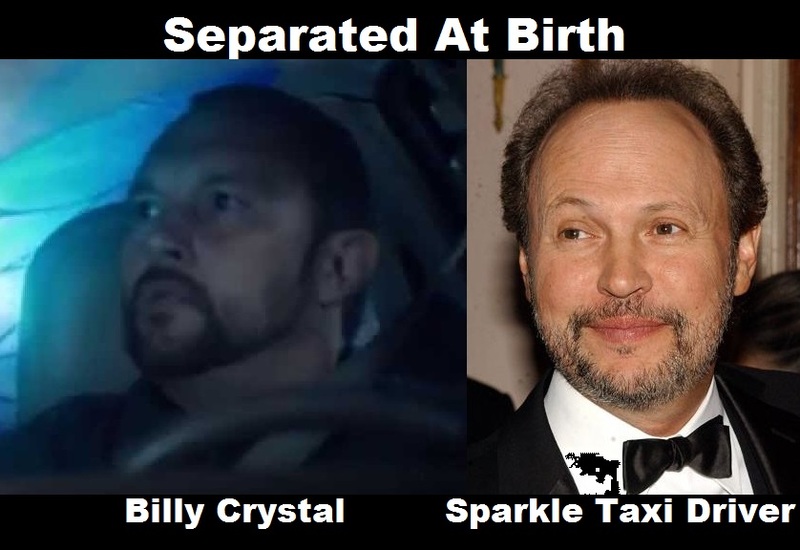 Why it’s none other than Billy Crystal! Well spotted! The Sparkle guy even has the Botox look!